Bank of America Plaza is a 72-story, 280.7 m (921 ft) late-modernist skyscraper located in the Main Street District of downtown Dallas, Texas. 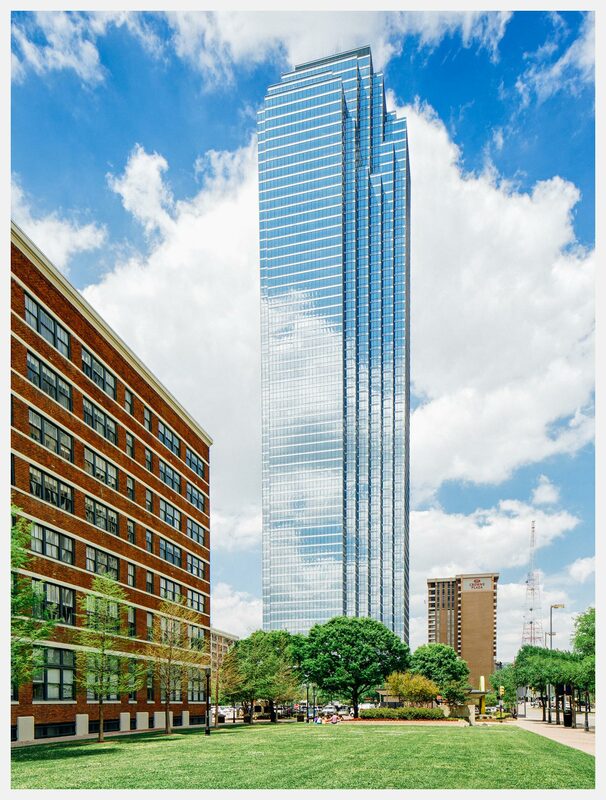 It is the tallest skyscraper in the city, the 3rd tallest in Texas and the 22nd tallest in the United States. It contains 1,900,000 sq ft (180,000 m2) of office space. The building was designed by JPJ Architects and developed by Bramalea LTD of Toronto. The original owner was a joint venture arrangement including Prudential Insurance, Bramalea, LTD and First National Bank of Dallas under parent company InterFirst Corporation. Construction commenced in 1983 and the tower was completed in 1985.